You heard that right, let's go! 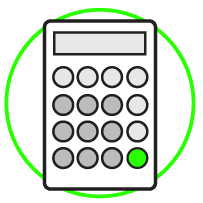 Take advantage of our calculator to calculate your net paycheck amount based on hourly rate, hours worked, tax rate, and more! Knowing your net pay is very beneficial when planning a larger purchase whether it's for a car or not. Many auto financing lenders have income requirements that you must meet to qualify for financing.